See Primahood: Magenta’s Tyler Cohen at the 2017 Comic Arts Fest and the Lambda Litfest! Tyler at the 2017 Comic Arts Fest! 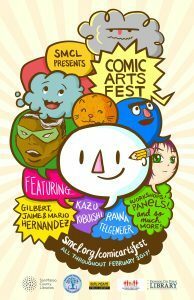 This February San Mateo Libraries will be presenting the 2017 Comic Arts Fest! SDP’s own Tyler Cohen, cartoonist behind Primahood: Magenta, will be appearing in a special panel discussion at the Half Moon Bay Library, Bay Area Women in Comics, February 11th at 5:30 PM! She will be appearing alongside Liz Mayorga and Shaenon Garrity for a lively discussion of their work. Tyler at the 2017 Lambda Litfest in Los Angeles! Primahood: Magenta is in the running for a Lambda Literary Award this year, but while we wait for the judges’ decision, come see Tyler at the Lambda Litfest in Los Angeles! She will be appearing on the panel discussion MUTHA UP AT LAMBDA LITFEST! STORIES OF MODERN QUEER PARENTING FROM MUTHA MAGAZINE, March 9th at 7:00 PM at the Poetic Research Bureau! Other panelists include Elizabeth Earley, Jillian Lauren, Carla Sameth, and Wendy C. Ortiz! Come out for a great discussion and get your personal copy of Primahood: Magenta signed by Tyler herself! SDP News for February 2017! 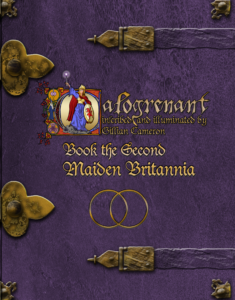 Calogrenant Book the Second: Maiden Britannia is now available! The much awaited second volume of Gillian Cameron’s saga about a transgender knight of the Round Table is now available here on our site and on Amazon! 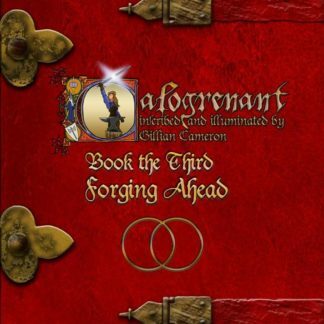 Calogrenant Book the Second: Maiden Britannia tells the story of Callie’s further exploration of her newfound womanhood, and her guide to this new life is none other than Morgan Le Fey! Cameron’s deft storytelling touch takes the reader through moments of adventure, humor, and uncanny spirituality! San Diego Comic Fest 2017: Meet Gillian Cameron in person! Gillian and I will be in Artist Alley at this year’s San Diego Comic Fest from Feburary 17th through the 20th! We will be launching Calogrenant Book the Second there. So, be sure to come and get your copies signed by Callie’s creator herself! We’ll both be selling sketches, and all of your favorite SDP titles will be available at our booth. 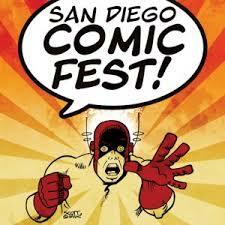 If you’re in the San Diego area, don’t miss this one-of-a-kind, creator-focused convention! Long Beach Comic Expo 2017: Prism Comics and SDP! Prism Comics will once again be at the Long Beach Comic Expo this February 18th and 19th! 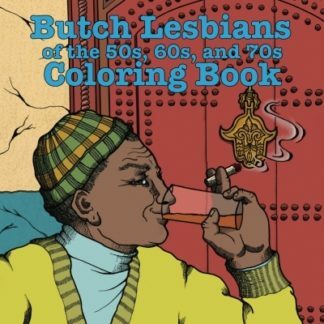 You can get all of your favorite titles at their rainbow festooned table at booth 903, including the popular Queer Heroes Coloring Book! 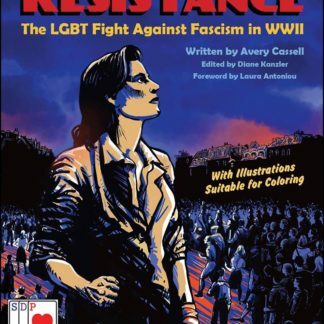 Remember Prism Comics is America’s leading non-profit organization supporting LGBTQ comics, comics creators, and fandom! Your purchase of ALPHABET supports the Prism Comics Queer Press Grant, which each year goes to an up-and-coming queer comics creator! Now we know about SDP titles present and past. But what about the future? Final lineup for all-trans+ comics anthology “We’re Still Here” to be announced in February! Editor Jeanne Thornton and I have been pleasantly overwhelmed by the enthusiasm and volume of response to our call for submissions to We’re Still Here, our all-trans+ anthology! Because we have so many submissions, and so many of obvious quality, but limited space in our book, Jeanne and I have been busy evaluating the proposals to come up with a selection we feel will make for the best book possible. Later this month she and I will announce the final lineup of creators who will be contributing to this very special and important publication. All of you who submitted, don’t worry, we will take the time to review your proposal carefully. It’s just taking a bit longer than expected. Thank you all for your support and the wonderful response! SDP Announces All-Trans Comics Anthology! Call for Submissions! 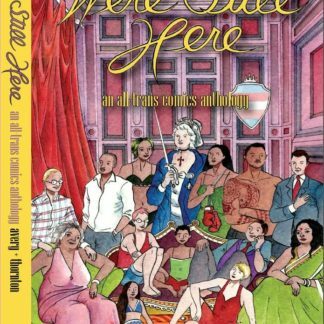 STACKED DECK PRESS is pleased to announce We’re Still Here, our forthcoming anthology of comics by transgender cartoonists, edited by Tara Avery (coeditor of ALPHABET with Jon Macy) and Jeanne Thornton (copublisher of Instar Books)! Our goal is to present work 100 percent conceived and executed by trans artists, showcasing the breadth of themes, genres, and approaches trans people are taking to comics work today. And if you’re a trans person who makes comics (or would like to), we’re definitely interested in seeing what you’ve got to offer. We’re buying new work rather than reprints. Ideally we’d like to work with you on the editorial process for it rather than buying already-completed pieces, but happy to consider those too! The page rate starts at $20, and will go higher depending on Kickstarter funding results. Full color art. 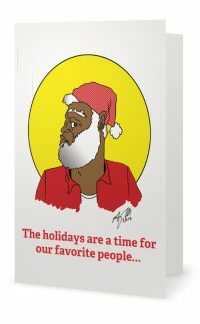 Art will be printed at 6 x 9, so original art needs to be proportionate to this & at least 300 dpi. Trans creators of color to the front of the line. There’s no explicit theme (other than “stuff trans people are interested in.”) If possible, we’re looking for work with a more personal slant and that’s about transness somehow. But we’d also absolutely like to see your horror comics, sci-fi epics, romantic doom comedies, political thrillers, generational sagas, and all other themes. We would like to see everything! That’s it—the rest is up to you! Please direct submission packages to editor@stackeddeckpress.com by January 9, 2017. And please spread the word about this call for submissions (and our upcoming Kickstarter.) We look forward to hearing from you!